The CST/Berger Red Magnetic Target improves visibility of beams projected by red lasers. 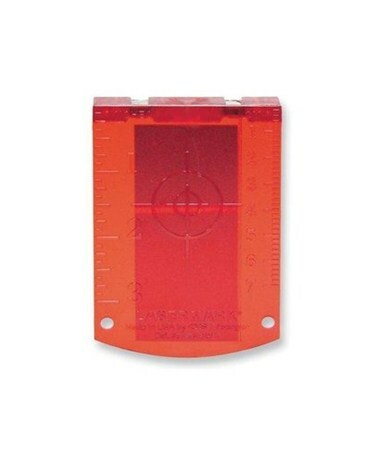 Featuring a magnetic base, the target plate can be attached to metal surfaces and objects. The inch and centimeter graduations help with precise aiming.